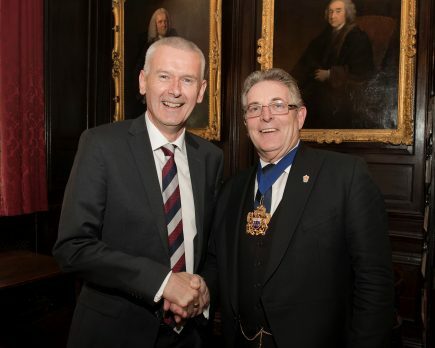 Graham Baker was today (13th September) elected as Master of the Worshipful Company of Butchers (WCB) at the annual Common Hall ceremony in London. He will be heading up the meat trade’s livery company over the next year. The annual election for Master and the new Court of the WCB took place at Ironmongers’ Hall, London, whilst the usual venue of Butchers’ Hall is out of commission for refurbishment. The ancient ceremony followed a church service held at The Priory Church of St. Bartholomew The Great, located near Smithfield Market. 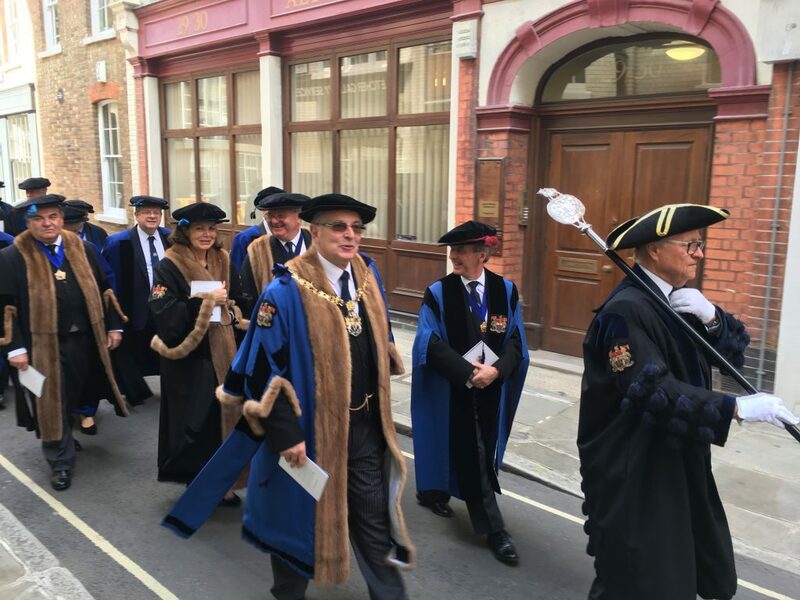 A procession of the outgoing Court and Master was watched by interested spectators when it made its way to and from the Ironmongers Hall and St Bartholomew’s church. Common Hall is followed by a convivial lunch attended by Court members and Liverymen together with guests. 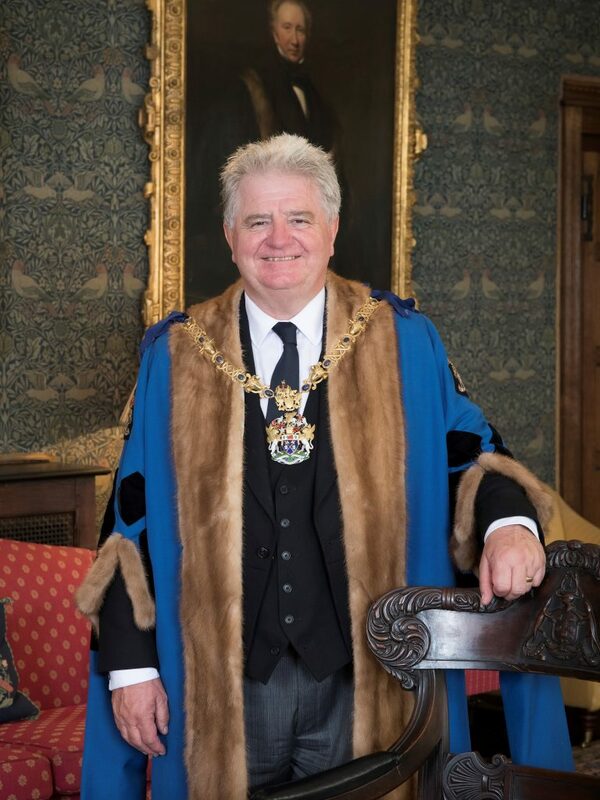 Graham Baker is the new Master of the Worshipful Company of Butchers. 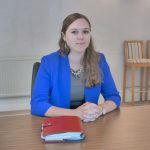 Graham runs Butcher’s Pet Care, a real success story which has achieved the number two market share position in canned pet food from small beginnings. A well-known liveryman with a reputation for caring about the meat trade, Graham has an industry heritage going back many years. Butchers Pet Care now produces around six million units of pet food every week, which equates to enough to feed ten pets every second. The business uses more than 200 tonnes of products from the meat and poultry industry every working day. Graham has six children and is married to Liz. Like many in the meat industry he enjoys shooting with friends and to go racing. He has been involved with The Prince’s Trust and is also a past winner of the Meat Management Excellence Award. The procession of the outgoing Court. Re-elected to the Court was Rob Yandell, a director of Yandell Media Group which publishes Meat Management magazine. Rob Yandell has been re-elected to the WCB Court. 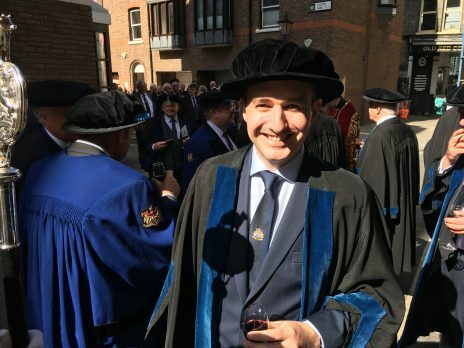 Just one week before Common Hall, outgoing Master Geoff Gillo hosted his final Court Lunch. At the Court Meeting ahead of the meal, the Irish Ambassador to the UK Dan Mulhal became an honorary liveryman and freeman. The Irish Ambassador to the UK Dan Mulhal pictured with outgoing WCB Master Geoff Gillo.